Thanks to a visionary couple and an ever-growing army of volunteers. 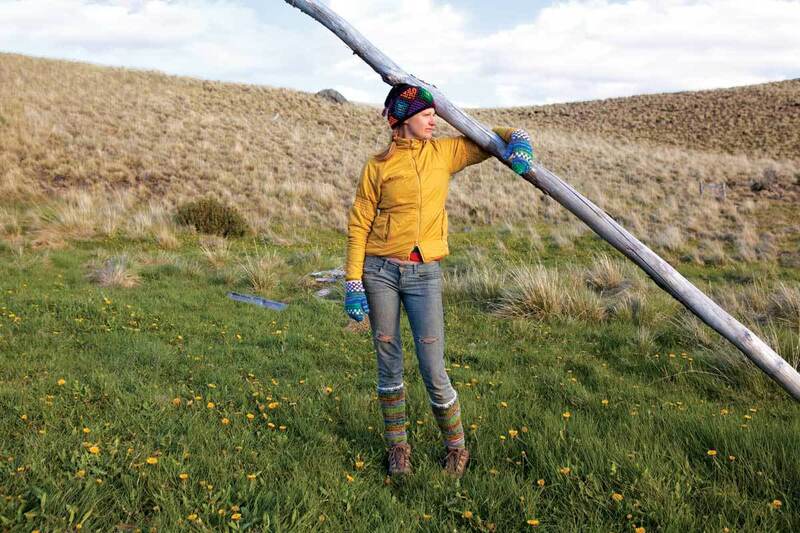 Britta Schroeter Phillips traveled from Whitefish, MT, in 2012 to volunteer on the grasslands restoration. Kris and Douglas Tompkins have spent the past 25 years attempting to undo the damage. 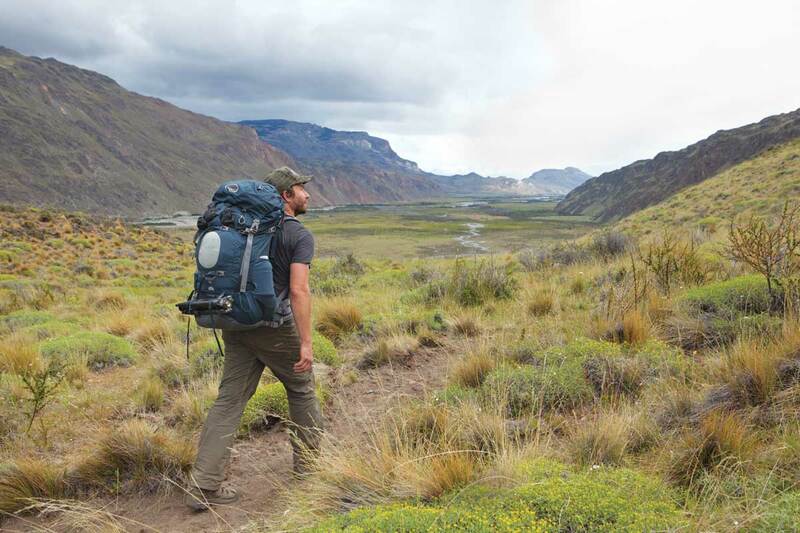 Since moving to southern Chile from Northern California, the former outdoor-clothing execs (she was the CEO of Patagonia, Inc.; he founded The North Face) have purchased some two million acres in South America, returning them to biodiverse health. 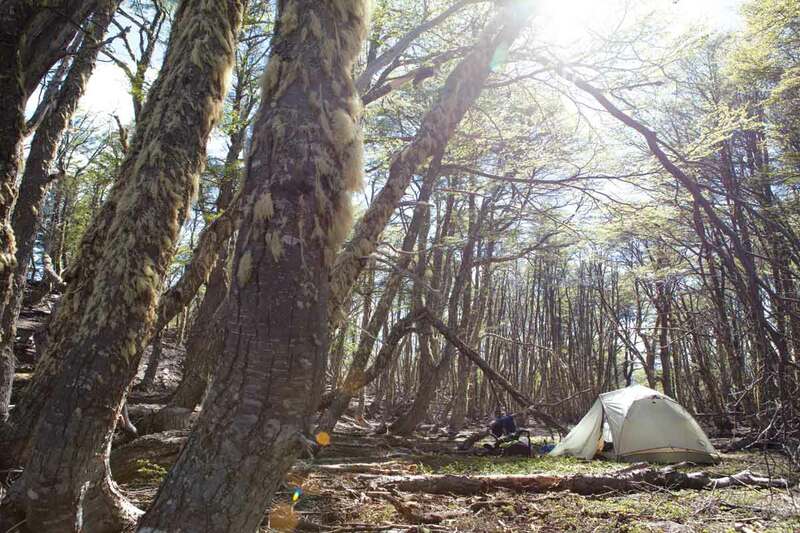 The couple has gifted much of that land to the governments of Chile and Argentina, in the form of protected nature sanctuaries and national parks. 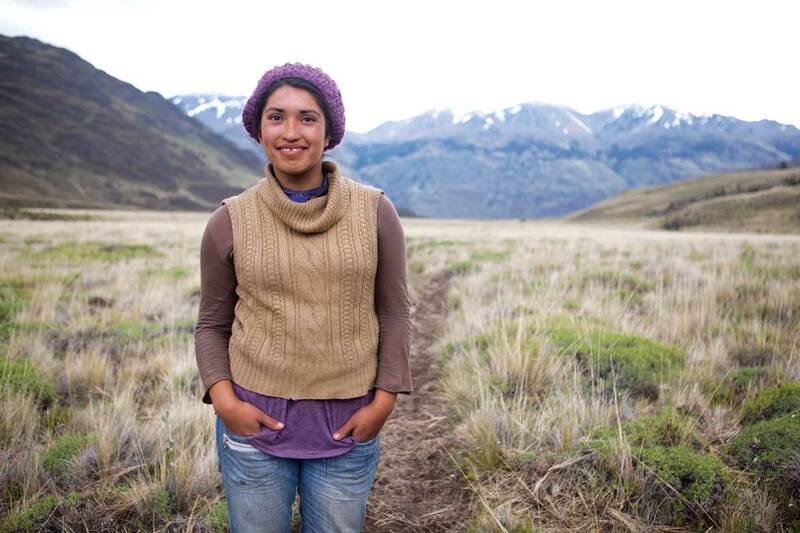 Now the Tompkinses, through her nonprofit Conservacion Patagonica (CP), are working on what just may be the largest single grasslands restoration project ever attempted: 650,000 acres in Chile’s Aysén region that will be called Patagonia National Park once completed and donated to the federal government. They aren’t doing it alone. 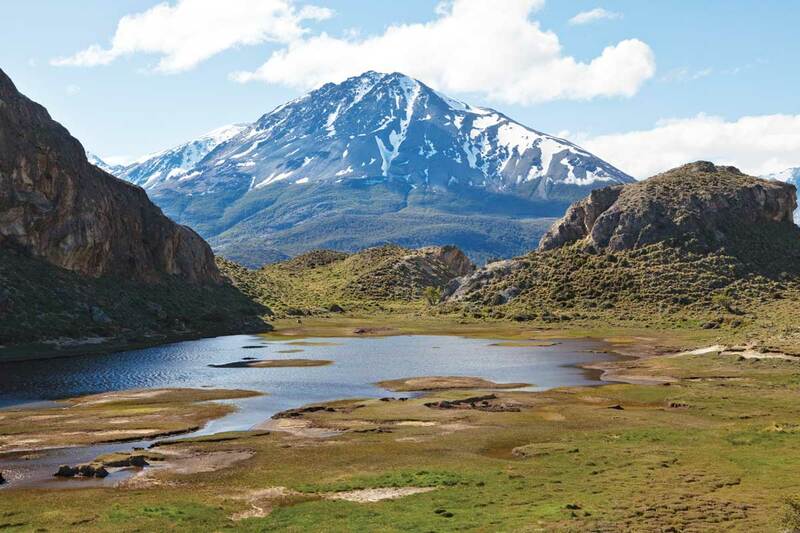 The 7,890-foot-high Cerro Kristine mountain towers over a lagoon in Chile’s Patagonia Park, 190 miles from the city of Coyhaique. Corey Arnold, a visitor from Oregon, hikes the Aviles trail, which cuts through the park. 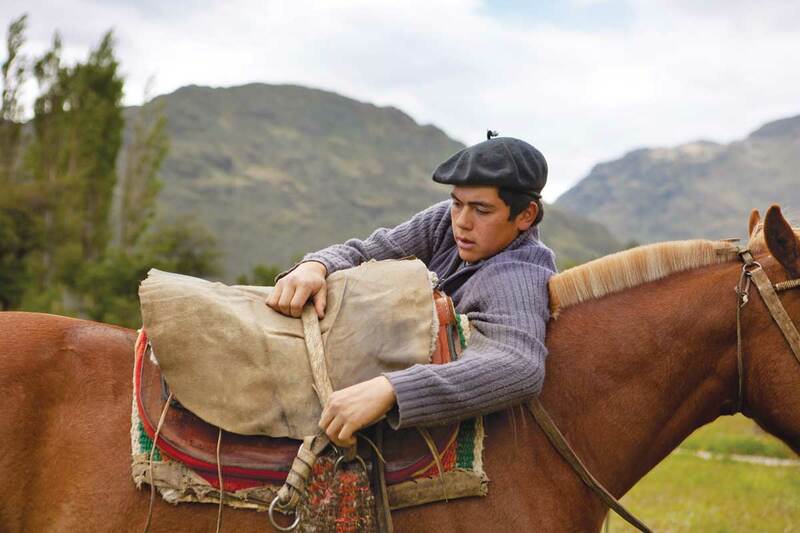 When CP purchased Estancia Valle Chacabuco to secure its land for the park, the foundation offered jobs to the sheep ranch’s gauchos. The sheep, however, didn’t fare quite so well. 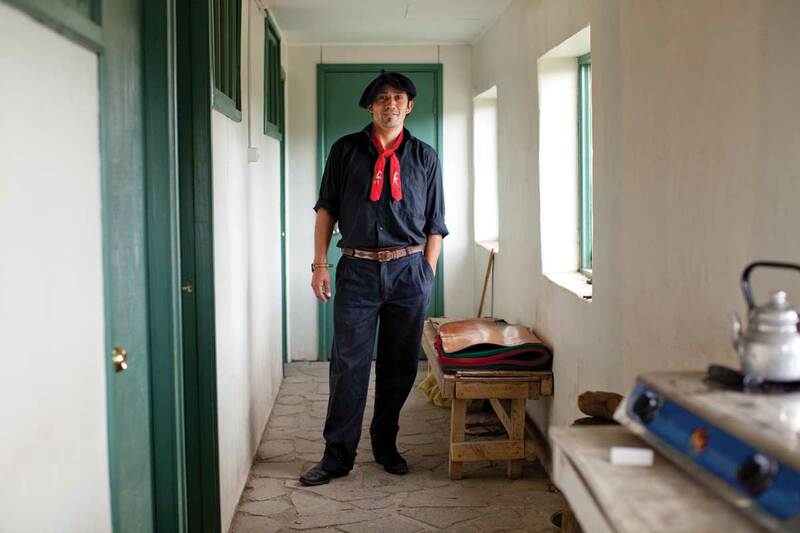 Once the estancia’s fences had been removed, the herd started falling prey to pumas and foxes – until the park’s resident veterinarian, Paula Herrera, instituted a guard-dog program. She’s since trained eight litters of Great Pyrenees puppies, raising them alongside the lambs. “We know we can’t keep livestock in a national park, but we’ve had such good results with the dogs that we’ll continue to train them for neighboring ranches,” says Herrera, who also oversees the park’s volunteer efforts. 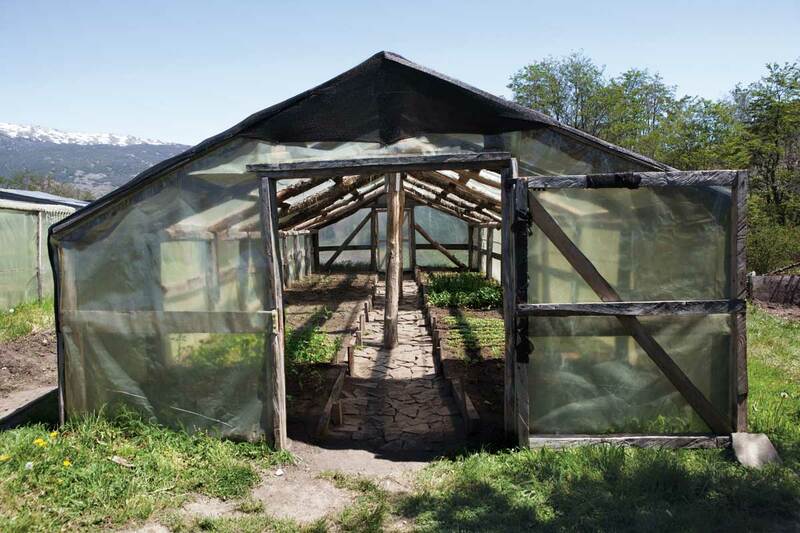 This unheated, wood-frame greenhouse provides fresh vegetables for Patagonia Park’s on-site restaurant, El RincÁ³n Gaucho. 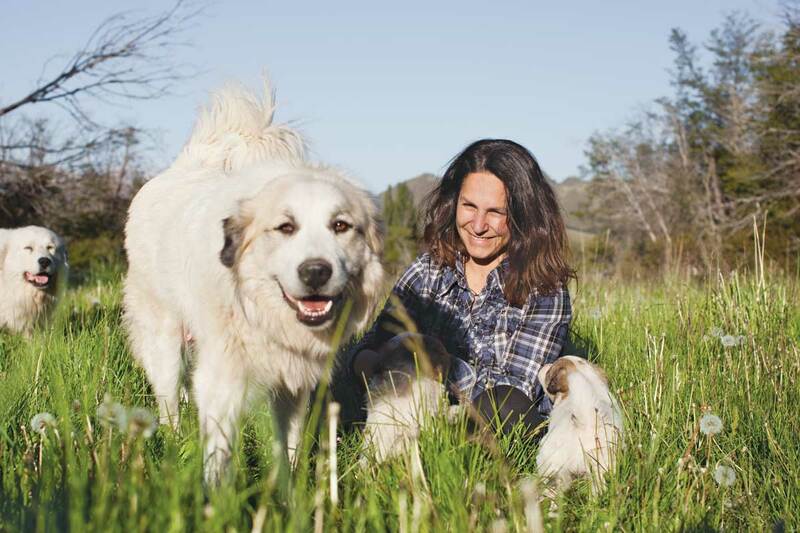 Paula Herrera, the park’s veterinarian and volunteer coordinator, trains Great Pyrenees to protect sheep inherited from a former estancia that was incorporated into the park. Park staffer Miguel Alejandro Ganga Irquen prepares to deliver materials to work crews. 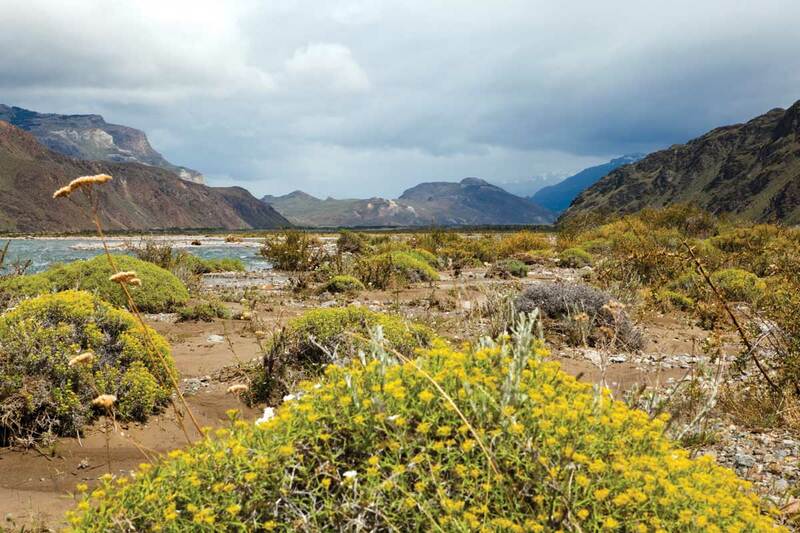 The Aviles trail winds through wildflowers and native grasses along the shore of Chile’s Rio Aviles. 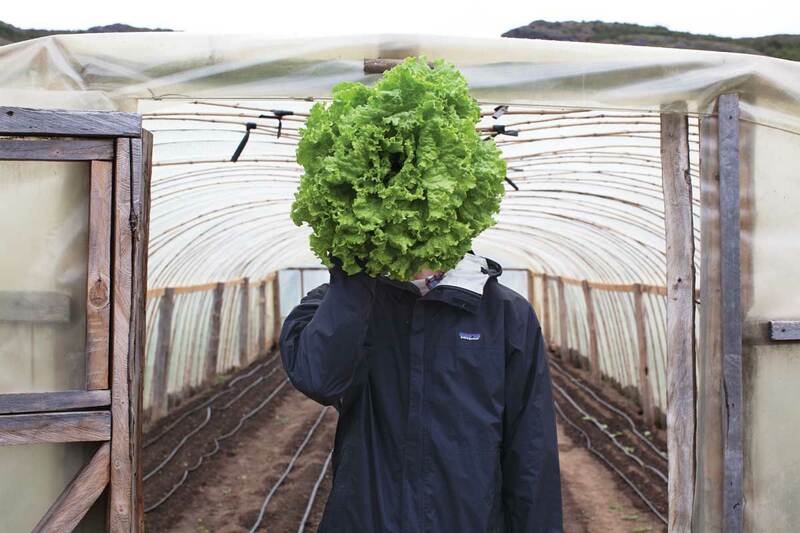 Eli Steltenpohl, manager of the park’s Valle Chacabuco lodge, shows off a head of Grand Rapids lettuce. Volunteer leader Celeste Iñiguez Quezada commutes to the park from the Chilean town of Cochrane, 30 miles away. 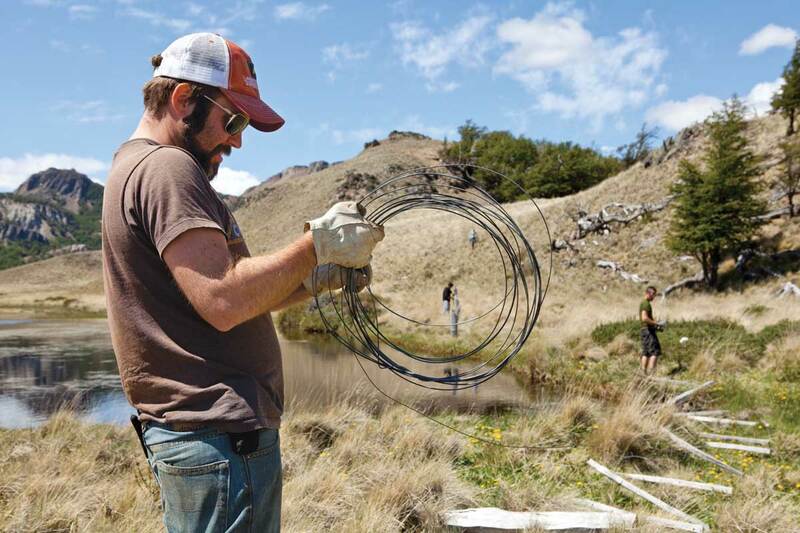 Volunteer Ben Phillips, of Montana, spent three weeks removing wire fences from the park. 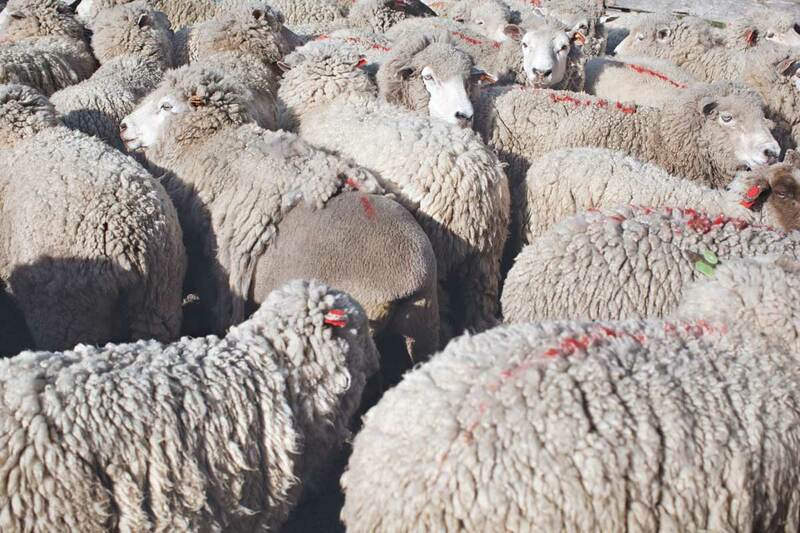 A few hundred sheep remain from the estancia days. Former gaucho Jorge Perez now tracks and tags native pumas for the park. 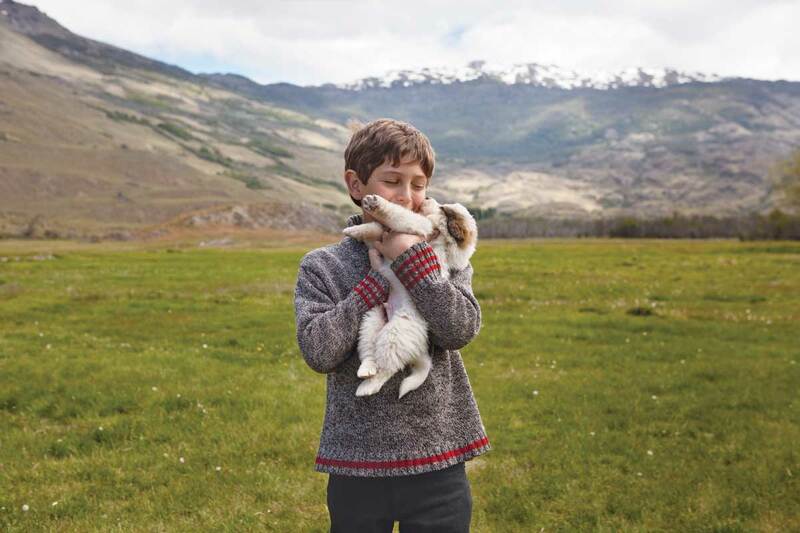 Martin, son of vet Paula Herrera, cuddles one of the park’s sheep-guarding pups. 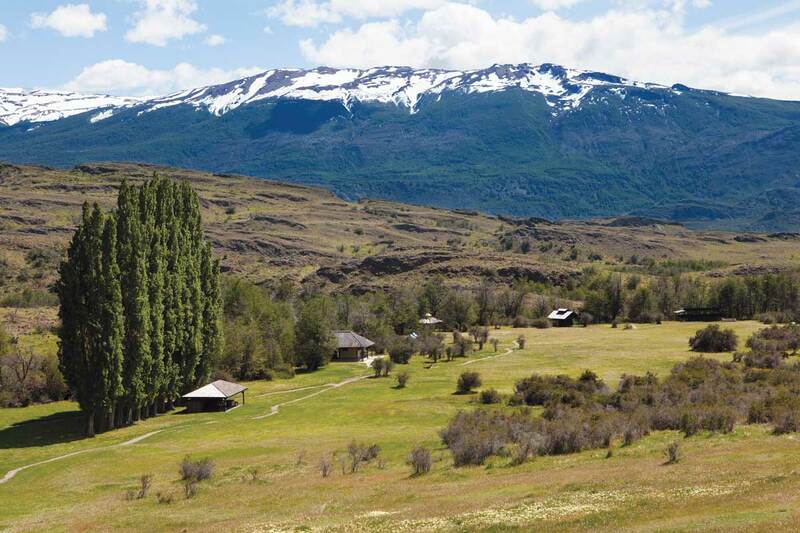 To reach Chile’s Patagonia Park from the capital city of Santiago, hop a puddle-jumper to Balmaceda, then rent a car for the 6-plus-hour drive (south along the Carretera Austral highway) to the park entrance at El Cruce Entrada Baker. Volunteers camp wherever they’re working. Volunteers rough it. Though it’s too late to apply for this year’s volunteer program, you can submit an application for 2016 here. Accepted participants pay a $600 fee and pitch their tents near work sites (above). One of two campgrounds in Patagonia Park, West Winds accommodates up to 60 tents and offers restrooms and sheltered picnic areas. Campers enjoy hot showers. The West Winds (above) and Stone House campgrounds are open from October 1 to April 30, on a first-come, first-served basis, for $10 per night. Both sites include access to sheltered and flush toilets. 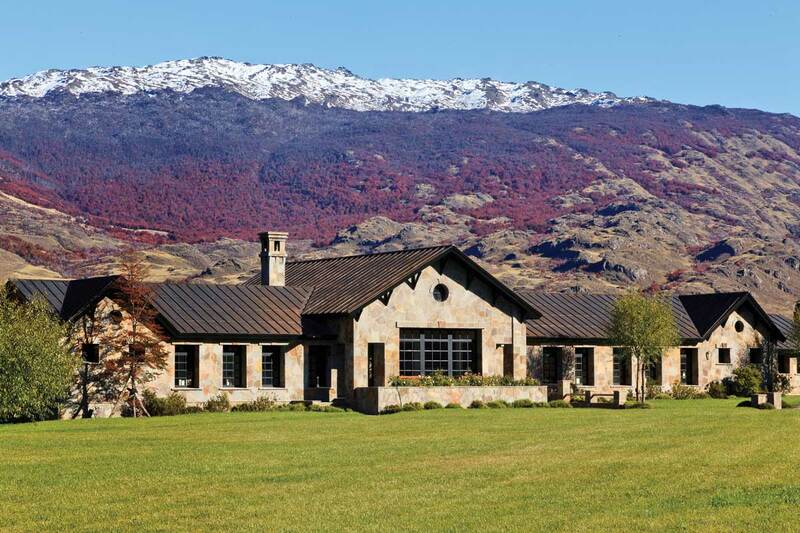 The Lodge at Valle Chacabuco offers relatively luxurious accommodations. Connie McCabe, a former associate editor at Saveur and Latin American correspondent for Travel+Leisure, lived in Santiago, Chile, for 15 years.